The John Smith's Stadium seats 24,500 people along with hospitality boxes and conference rooms. 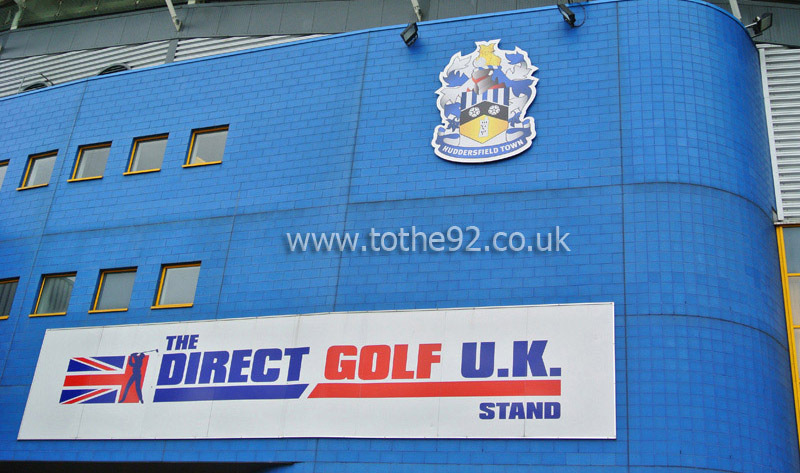 The Direct Golf UK 'main' Stand incorporates a row of 26 executive boxes running between the two tiers. 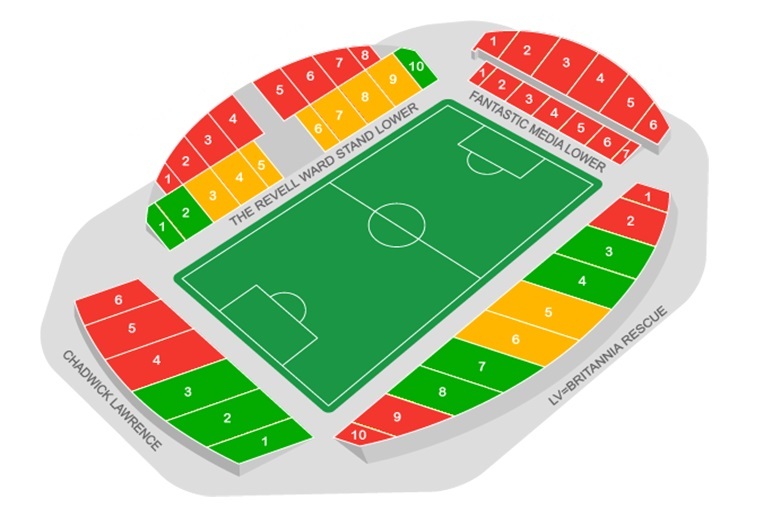 The Britannia Rescue Stand, across from the main stand, is a large, single-tiered stand which seats over 7,000. The Pink Link South Stand is usually allocated to away fans and seats 4,054. This is built into natural banking and is the most basic of the stands. The Fantastic Media North stand is the tallest stand with two tiers, 16 hospitality boxes and a viewing room for players' guests. The lower tier consists of temporary seating that can be removed for events such as concerts. Up to 4,000 visiting Supporters can be accommodated here and are located in the South Stand behind one of the goals. The facilities, refreshment bars, leg room and view of the playing action are all very satisfactory as you'd expect from a ground built in the 90's. The best places to eat and drink before and after a game are in the town centre. Unfortunately it's not a short walk from that ground (around 20 mins) so depending on how many you have and how fit you are it may be best to get a bus along. Alternatively, Ricky's bar on Leeds road offers a good range of beers and some cold food. Parking is available at the stadium at a cost of £5 per car and in local 'football' car parks ranging between £3 and £5. Street parking is available but you'll need to be prepared for the 15 minute walk in. The nearest / closest train station to Huddersfield Town's John Smith's Stadium is Huddersfield. Travel: Getting to the ground is easy but roads can get busy on match days so getting there early would be advisable. Impressions: The atmosphere is great inside and on night matches it looks brilliant from the outside. Facilities: It's quite squashed for toilets and drinks in the ground so do that before you go in. Exit: Was relatively quick and easy exiting the stadium although once out you do seem to mix in with the home fans to make your way back down the hill. Enjoy: It depends how far away you live. If you are close it can be a nice away trip. Have you been to Huddersfield Town's John Smith's Stadium? To tell us about your experiences and to feature on the site, simply complete the fans review form below!